For Outpost’s 2018 Global Travel Guide, we asked our regular contributors to share which destinations worldwide deserve the spotlight this year. We’re adding more each week, so check back for the rest! Serving as a natural border between France to the north and Spain to the south, the stony spine of the Pyrenees stretches 434 kilometres, from the Atlantic Ocean to the Mediterranean Sea (a trek that can be done in 45-60 days, or in eight days by superstar trail-runner Kilian Jornet). 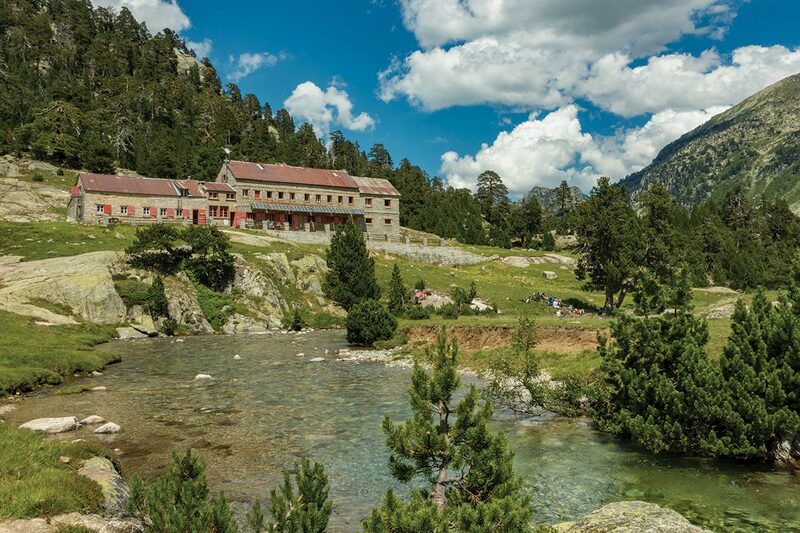 A good chunk of the mountain range is protected by Spanish and French national and regional parks (I haven’t forgotten the diminutive alpine nation of Andorra!). The Pyrenees definitely don’t possess the soaring heights and thin air of the Andes or Himalayas. The highest summit, Aneto, doesn’t even crack the 3,500-metre mark. These are rounder greener mountains, where the nimble Pyrenean ibex roam and grazing cows and sheep do their part to make all those flavourful French and Spanish cheeses. There are literally countless points of entry into these mountains, which provide infinite options for exploring. The trail systems are quite robust and support day hikers, through hikers, and those who want to tackle the many summits that grace the landscape. That being said, navigation can be a challenge, particularly when the brouillard (fog) rolls in. For inexperienced hikers or those unfamiliar with the terrain, a guided tour may be the safest way to go. There are also plenty of campsites and mountain lodges (refuges) available for overnighting. One of the reasons I recommend the Pyrenees is that they draw hikers from the region, giving the journey a fantastic local vibe. So whether you’re out on the trail or settling down to a meal at a group table at a refuge, you may very well end up interacting in French and Spanish. Talk about linguistic immersion!